Formula 1 may not be the obvious place to start looking for environmental responsibility, but the Sauber F1® Team has made carbon neutrality a core deliverable since 2011. At the beginning of 2016, IFS became a Principal Partner of the Sauber F1 Team, a relationship based on three shared values: a commitment to innovation, valuing the importance of design and treasuring the power of effective teamwork. However, it doesn’t stop there as another shared interest has emerged: environmental responsibility. [Treagust] Why is it important for the Sauber F1 Team to be Carbon-Neutral? [Schwarz]: Active environmental protection is an important concern of the Sauber Motorsport AG. Our company has operated greenhouse gas neutral since 2011. It is clear that the environmental burden has become a key challenge for our society. By implementing an environmental policy, we are aiming to face up to this challenge and fulfill our environmental responsibility. Our core business is constructing and running Formula One racing cars. We will continue to do so with great conviction and equal passion, but we want to do what we do as responsibly as possible. [Treagust] As you are Carbon neutral through offset, which projects are you currently supporting? [Schwarz]: Carbon offsetting allows us to make an important contribution to protect the environment. 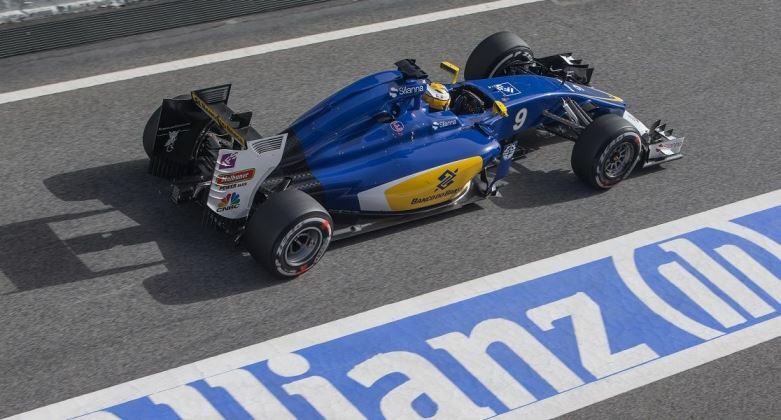 With assistance from our partner Carbon Connect AG, greenhouse gasses produced by the Sauber Motorsport AG will be initially calculated and subsequently neutralized accordingly. Currently, we support a project in the Brazilian state of Amazonas. The so-called “REDD APD project” has the objective of [reducing emissions from Deforestation and Degradation] and within the next ten years, the project will have neutralized around 9.5 million tons of carbon dioxide. [Treagust] What prompted you to achieve your ISO14001 accreditation for your environmental management system? [Schwarz]: In April 2012 the Sauber Motorsport AG environmental management system was ISO 14001 certified. The ISO 14001 is the most widely established standard in this area worldwide. This certification attests that our company meets all the stated requirements. The ISO 14001 requires regular assessment of the environmental management system by the company’s management. This is done through the annual report, showing the results of the teams’ environmental efforts. The report is available to the public and includes environmental targets, measures and projects from the previous year as well as a summary of the most important results of the environmental-controlling and a list of targets for the current year. In 2015, the environmental management system of the Sauber Motorsport AG received the successful recertification, which shows that our environmental responsibility has a high priority. [Treagust] How do you store, access, calculate and report the information to support the Carbon neutrality goal? [Schwarz]: The carbon neutralization for all the activities from Sauber Motorsport AG is one of the key projects of our integrated environmental management system. As the basis for the company’s carbon footprint calculation, all relevant data is continuously being recorded. This carbon footprint is calculated by our partner carbon-connect AG on a year-by-year basis. In addition to direct greenhouse gas emissions, indirect emissions, which encompass the major emissions from third-party services, are determined as well. Furthermore, with assistance by carbon-connect AG, the calculation methods will be reviewed and revised every year and adapted to the latest standards. [Treagust] From your experience, what do you see as the major challenges for companies wishing to be Carbon neutral in the future? As a growing global concern, more companies are challenging their environmental programs to deliver more both for their brand and for their bottom line. IFS are supporting customers in achieving their environmental programs using their agile and modular suite of software and tools. From strategic through to transactional and everything around it, we work together to collectively improve our corporate social responsibility.